Working with a template or shaped pattern when papercrafting can be a fun way to expand your creativity in new directions that you might not normally try. The Stampers’ Sampler magazine, published quarterly, provides a new template in each issue as a challenge for paper artists to use as a starting point and it’s always fun to see what people dream up. 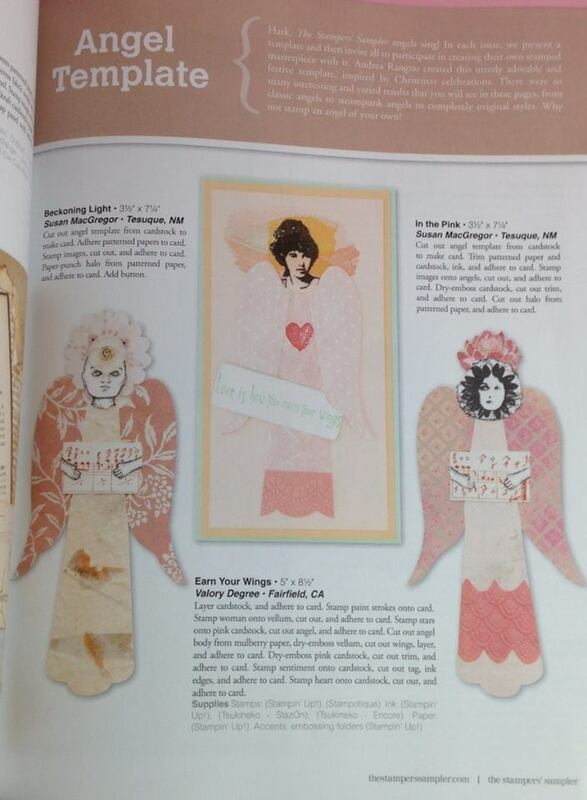 Some of the past templates have included a bird, a teacup, a purse, a butterfly and the angel pattern shown in the picture above, which was published in the Fall 2014 issue of The Stampers’ Sampler. 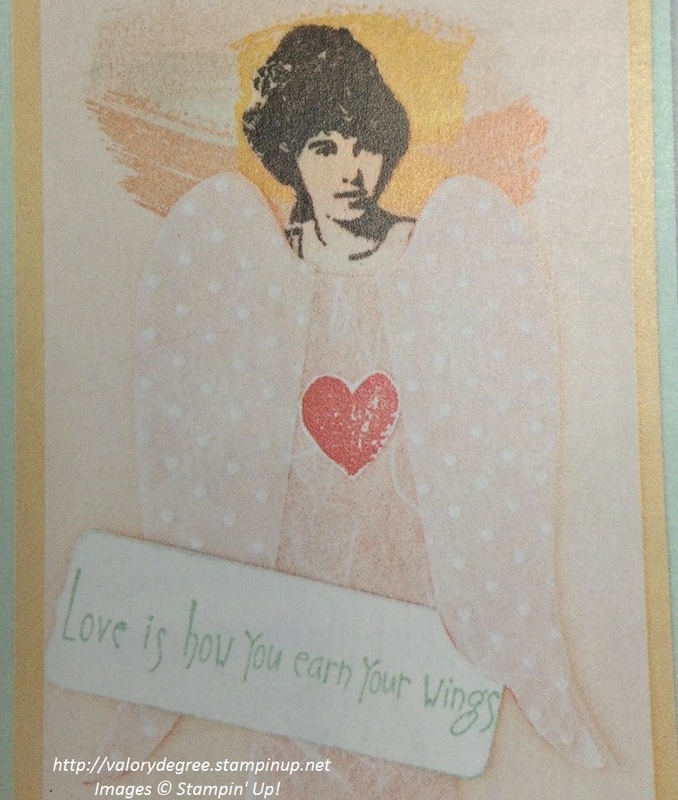 For my angel, I used the heart and watercolor background stamps from the “Work of Art” set by Stampin’ Up! The angel’s face was from a retired set, “Days Gone By.” I constructed the wings from embossed card stock weight vellum and her gown is covered in mulberry paper. If you’d like to try stamping with templates, go to http://www.stampington.com and scroll to the bottom of the page. Click on the link for Tempting Templates and choose one that appeals to you. Have fun creating!